Throwing swimbaits for bass can be fished from top to bottom in clear water if it is rigged correctly. 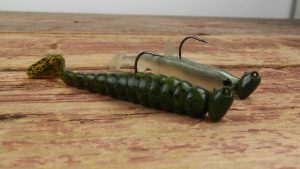 The beauty of a paddletail swimbait is that it can be rigged different ways to make it fall vertically with its head down or swim horizontally. It can also be rigged weedless for fishing around cover or with the hook exposed for swimming in open water. Here are three rigging methods I have used to catch bass with paddletail swimbaits. These hooks usually feature lead weight molded on the hooks and some sort of screw lock on the hook eye for keeping the swimbait head attached to the hook. The weighted hook can be used with either a hollow or solid body swimbait and allows you to Texas rig the swimbait so the lure is weedless. 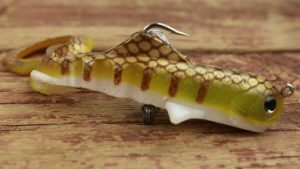 The weight on the bend of the hook also causes the lure to remain horizontal as the swimbait is falling to create a more natural-looking swimming action. A swimbait rigged in this fashion is ideal for swimming around docks and cover or through schools of suspended bass. Several lure manufacturers offer a variety of jigheads made specifically for hollow or solid body swimbaits. 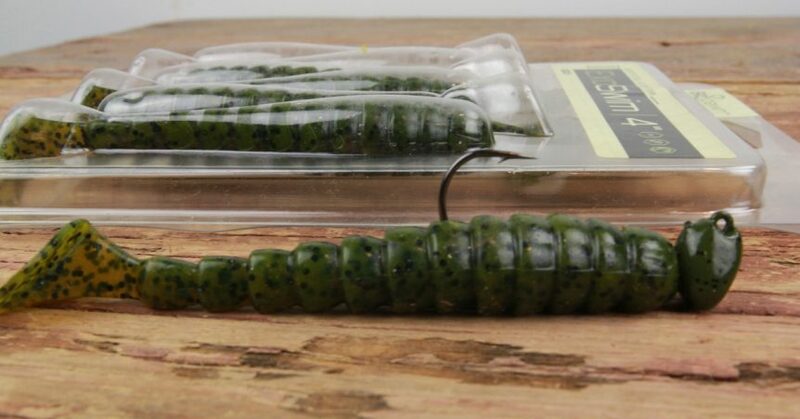 Jigheads are available in light weights such as 1/8- or 1/4-ounce sizes for running swimbaits near the surface or heavier models in 1/2- or 3/4-ounce sizes for bouncing along the bottom. 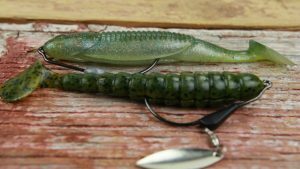 Swimbaits attached to jigheads fall head first so this setup works best for vertical jigging or stroking a swimbait off the bottom. The hook is exposed on this rig so you will need to throw this swimbait in open water or around sparse cover. This is the best rigging system I have tried for preventing hooked bass from getting off hollow-body swimbaits. My rig consists of a short piece of plastic tube from a WD-40 spray can, a bullet worm weight and a treble hook. After inserting the tube into the swimbait’s nose, make a slight incision in the lure’s belly and thread your line through the tube and the lure’s belly. Slide the sinker on the line and then tie the treble hook on the line. Pull on the line in front of the lure’s nose so the sinker slides up into the belly and the hook hangs just outside the belly. The exposed treble hook limits this rig to open-water presentations.